How Far is Omega The Neighbourhood? Wake up to nature's surround sound in 'The Neighbourhood.' With quality of life becoming paramount for people investing in a home, this new-age integrated township offers the right blend of residential, socio-economic and environmental ecosystem. 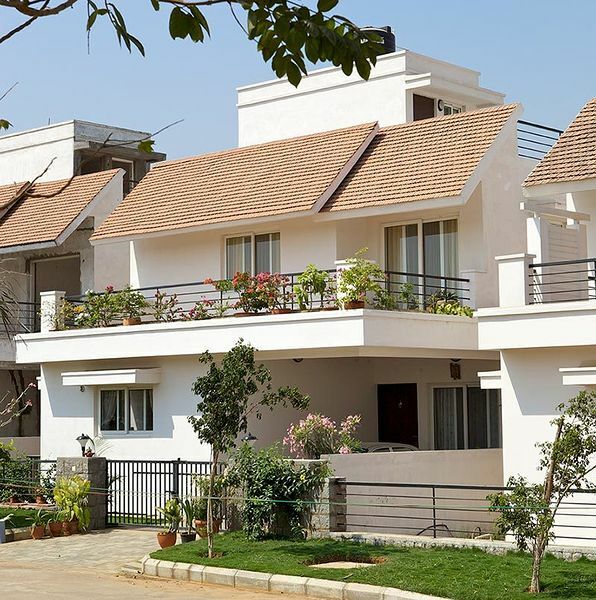 Set in a location that has witnessed unprecedented growth as a residential corridor in the last few years, The Neighbourhood easily qualifies as one of Hyderabad's lowest density residential space developments. A choice of luxury villas and modern row houses, the elegant landscaping with avenue plantations and extravagant open spaces, integrating comfort and convenience, would wantyou to make The Neighbourhood your address. While the design and the amenities of the township make it unique, the vibrant gated community also offers an astonishingly good value for investing in a home. At this new hub of relaxed living, residents are first hand experiencing a home set amidst serene surroundings that offer ultra-modern conveniences and amenities, a home that is located within the city yet away from the chaos. Simply put, a signature of new-age living forthose whodemand the best out of life. All external walls of 9" thick brick / 8" block walls and all partition walls of 4-1/2" thick brick / 4" block walls. Sponge finish plastering in two coats for external and internal with wall putty for internal finish. All sanitary ware and fittings in the toilets to be of American standard / Cera make or equivalent. All CP fittings in toilets of American standard / Jaguar make or equivalent. Concealed CPVC / GI pipes in toilets and kitchen as per approved drawings. External drainage lines in plots to be connected to main drainage and to S.T.P. Door frames in seasoned wood with flush door shutter with both sides teak veneer finish in all rooms. Doors will have one side teak veneer finish & other side water proof paint. UPVC / Aluminium glazed windows. Back-up power through generator upto 2 KVA per house unit. 6" solid block wall in cement mortar for back side of the plot and and front portion with railings as per drawings from the architects. MS gate as per drawings from architects. Civil work in Landscaped pockets. Sloping parapets covered with clay tiles.